A Studio Master download is the highest quality music file available anywhere. The files are also known as HD, high definition, hi-res or high resolution. It allows you the listener to hear a recording exactly the way the original artist and producer intended it to sound, before it was altered to fit on a CD or squashed down to MP3 size. Read on for a bit of the history of the Studio Master and for a more technical insight into what makes it sound so good. So what's the story behind all this? When music entered the digital realm the major driving factor behind new technology was convenience. By taking the analogue sound wave that was once pressed into vinyl, slicing it up, and converting it to 1s and 0s allowed it to fit on a small shiny Compact Disc. These were great because they could be played thousands of times without degrading, they weren't so susceptible to scratches and fingerprints, were easier to store and were pretty cheap to manufacture. At the time there was a big hoo-ha that they just didn't sound as good, and lacked all the great qualities of vinyl that music lovers and audiophiles had come accustomed to. And they were right, when they hit the market, CDs were actually the lowest quality music format - even 8-track tape was capable of holding much more information than this optical media. The dynamic range - the highs and lows in volume and subtleties of the music - as well as the underlying 'noisiness' of the recordings suffered, but to the average listener this didn't really matter, and they were just so convenient that most people didn't seem to care. In fact for a majority it was probably an improvement on worn out cassette tapes! But there were still those that remained firm that vinyl and the original analogue formats just sounded better. Fast forward ten or fifteen years and welcome the MP3. Suddenly the prospect of having 10,000 songs in your pocket really appealed, and it was even more convenient to be able to buy an album without walking through the rain to the record store - or even better to discover amazing new music through the internet. But this required music to be chopped up in to even fewer 1s and 0s and compressed into even smaller spaces. This is when the music really started to suffer, all that chopping and compressing sacrificed even more dynamic range, squashing the subtleties, and adding noise in the holes where there once was music. So how do we get back to the place where we left vinyl behind - all that great musicality and almost intangible qualities of the rich analogue sound - but still take the best bits of the new digital world? Step up the Studio Master download. Why is Studio Master the best quality? An interesting question to ask when moving music from the analogue to the digital realm is how much of the music we should convert to 1s and 0s? And what happens to all the information in the gaps? Linn have decided that CD quality isn't quite good enough at doing this given recent advances in technology, and doesn't keep enough of the original sound information. Music on CD is encoded at 16-bit (the bit depth) and at 44.1kHz (the sample rate). The sample rate tells us how many times the original signal has been 'sliced up' and the bit depth tells us how much information has been recorded in each slice. It's the bit depth that, for convenience, is largely referred to as the resolution. In reality the higher the resolution and higher the sample rate the fewer things we have to do to get round all the little errors that occur in the music when it is sliced up and converted from real world sound into digital and back again. Hence the higher the resolution, the closer we get to that lovely, rich, dynamic performance by the artist. Studio Master files are encoded at 24-bit or higher, and currently up to 192kHz. This is so close to analogue quality that it is virtually impossible for the human ear to perceive any difference. Therefore we feel this is the best format in which to be offering our music. This is the level that most music is recorded at these days, and that is the resolution that we offer it to you, so it doesn't get any better! If you are new to downloading from LinnRecords.com and are unsure which download is best for you then follow this simple step by step guide to find your ideal choice. If you can play Studio Master downloads we absolutely recommend you choose this option as the sound is phenomenal. Over 90% of our customers have made Studio Master their download of choice. 1. Are you going to play this download on your Linn DS Player? 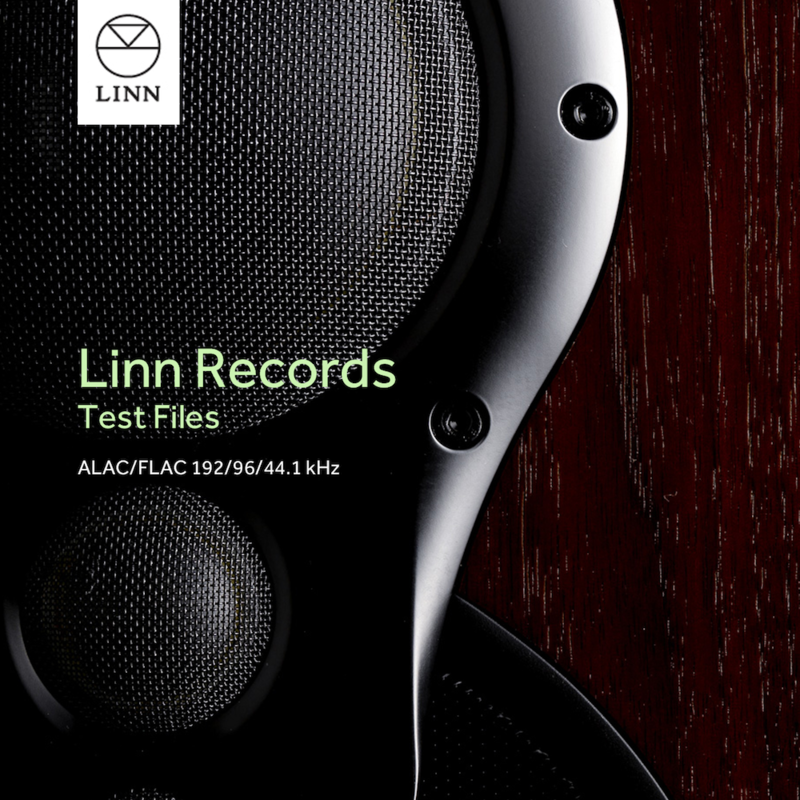 Yes: You can choose either Studio Master FLAC or Studio Master ALAC as the Linn DS Players can play both. 2. Are you going to play this download on your iPod? Yes: Choose CD quality ALAC for easy importing into iTunes and compatibility with iPods. 3. Are you going to play this download via iTunes? Yes: If you have a 24-bit soundcard in your computer you can choose Studio Master ALAC for easy importing into iTunes. If you do not have a 24-bit soundcard you can choose CD Quality ALAC. 4. Are you going to play this download on your PC? Yes: If you have a 24-bit soundcard in your computer you can choose Studio Master FLAC which can be played in many media players (such as Songbird) or converted to WMA so you can play via Windows Media Player. If you do not have a 24-bit soundcard you can choose CD quality FLAC. 5. Are you going to play this download on your Mac? Yes: If you have a 24-bit soundcard in your computer you can choose Studio Master ALAC which can be played in many media players (such as iTunes). If you do not have a 24-bit soundcard you can choose CD quality ALAC. No: If you have a question about which download is best for you please email us. MP3 is what most people associate with downloading as it is the most widely available format and favoured by iTunes. Linn (and the majority of our customers) prefer digital formats which offer a much, much better experience for the listener such as Studio Master and CD quality. Studio Master is the best quality digital format available. It is the master recording straight from the studio and has not been squashed down like MP3s and CDs. The result is music which has all the detail and dynamic range of the original recording. You do need a 24-bit soundcard to play these downloads or your computer will automatically downconvert them to a lesser quality. They come in two file types ALAC and FLAC. Read more about Studio Master. CD quality downloads are a great choice if you do not have a 24-bit soundcard. They are compatible with all computers, can be burnt onto a CD and can be played on your iPod. Of course they do not have the top quality sound a Studio Master offers but are a great alternative and a vast step up in quality from MP3. They come in two file types ALAC and FLAC. FLAC is our most popular file type as it can be played on all computers. It can be converted to other file types if they are required for your player and can be played via Songbird and Linn DS Players. ALAC is the best choice for Apple users; whether you play your music in iTunes, on your iPod or on your Mac, ALAC will suit your needs. We have compiled a comprehensive help section dedicated to answering all your questions relating to downloads.